The government has announced new regulations for marriages between Cambodian women and foreign men, stipulating that prospective husbands must be younger than 50 years old and earn more than US$2,550 per month. The Ministry of Foreign Affairs informed local embassies and consulates of the measures in a diplomatic note dated March 1, Foreign Ministry spokesman Koy Kuong said. “Marrying a man over 50 years old seems like a grandfather and a granddaughter,” he said. The salary minimum, Koy Kuong added, had been instituted to ensure that Cambodian women enjoyed a decent standard of living and were not victimised by labour trafficking. “We want them to live decently, not to live like slaves,” he said, adding that the Foreign Ministry had yet to receive any response from local diplomats to the note. United States embassy spokesman Mark Wenig confirmed that American officials had received the note but declined to comment further. 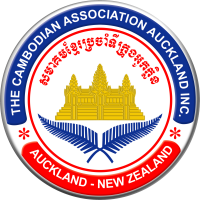 “We received information that the rules regarding marriages between Cambodians and foreigners were changing,” he said. Officials at the British, French and Australian embassies did not respond to requests for comment. While he was unsure of whether the note would be followed by a new law or sub-decree, Koy Kuong said the regulations listed in the diplomatic note carried legal force as of this month. Chou Bun Eng, a secretary of state at the Ministry of Interior, said the Foreign Ministry was handling the issue and declined to comment. Last year, the government instituted a temporary ban on marriages between Cambodian women and South Korean men after officials broke up a human trafficking ring facilitating such unions. In 2008, a temporary ban was instituted on all foreign marriages, again in relation to concerns about the trafficking of Cambodian women to South Korea. Sam Rainsy Party parliamentarian Mu Sochua said the new directive was unnecessary and violated the right of women to freely choose their husbands. “I am concerned about marriages that are not consented by women, when it’s more a marriage of opportunity,” she said, though she added that the Penal Code and other existing laws were enough to deal with this issue.